Breckenridge Ski Resort announced this week the band lineup for this year’s free Bud Light Concert Series as part of Breck’s annual Spring Fever Festival. Widely recognized as the biggest spring party in the Rocky Mountain region, Breck Spring Fever this year features more than 40 events taking place from Saturday, March 22, through Sunday, April 27, closing day. The Bud Light Concert Series brings the party to Breck with four concert days of big-name national acts on Friday, Saturday and Sunday afternoons on the mountain. All concerts are free to the public and will take place on a specially constructed stage on the snow just outside One Ski Hill Place, at the base of Peak 8, from 2 to 5 p.m. on each concert date. Big Bad Voodoo Daddy will be the first major act to take the stage on Saturday, April 12. Known for such hits as “Go Daddy-O,” “You & Me & the Bottle Makes 3 Tonight (Baby)” and “Mr. Pinstripe Suit” and their appearance at the Super Bowl XXXIII halftime show in 1999, Big Bad Voodoo Daddy reminds the world that it’s still cool to swing, big-band style. The high-energy, nine-piece ensemble urges fans to shake and move to their inimitable grooves while also expanding their horizons with new musical inspiration and influence. On Sunday, April 13, ’90s radio sweethearts The Gin Blossoms will come to Breck. The Grammy-nominated group, with their blend of pop and rock, became a musical force that helped define the sound of the ’90s with massive hits such as “Follow You Down,” “Til I Hear it From You” and “Hey Jealousy.” After a series of charting singles, the band broke up in 1997. They reunited in 2002 and released a fourth album, “Major Lodge Victory,” in 2006, and a fifth, “No Chocolate Cake,” in 2010. 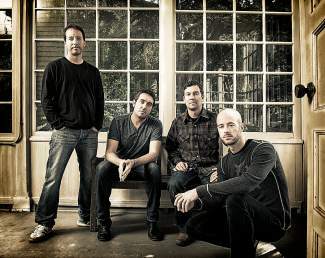 Colorado natives Yonder Mountain String Band continue the live music on Friday, April 19. Blending bluegrass, rock and countless other influences that the band cites, Yonder has pioneered a sound of its own. With its lineup of instruments, the band may look like a traditional bluegrass band at first glance, but the quartet has created their own music that transcends any genre, as evidenced by their legions of loyal fans. One of the world’s legendary jam bands, Blues Traveler has released a total of nine studio albums, four of which have gone gold, three platinum and one six-times platinum. The band will play live in Breckenridge on Saturday, April 19. Over the course of its illustrious career, Blues Traveler has sold more than 10 million combined units worldwide, played more than 2,000 live shows in front of more than 30 million people, and with its hit song “Run-Around” had the longest-charting radio single in Billboard history, which earned the band a Grammy. Breck Spring Fever events continue to be added in town and on the mountain throughout the festival; visit http://www.breckspringfever.com for the latest and most up-to-date schedule of Spring Fever events.